← Is the Helicopter Carrier Tender for Real? Work on the U.S. airborne laser has gotten the Russians talking again. On 19 August, an OPK source told Interfaks a laser system mounted on an Il-76 is under development, specifically to counter enemy reconnaissance systems. It’s supposed to disrupt optoelectronic equipment operating in the infrared range in space, at sea, and on land. 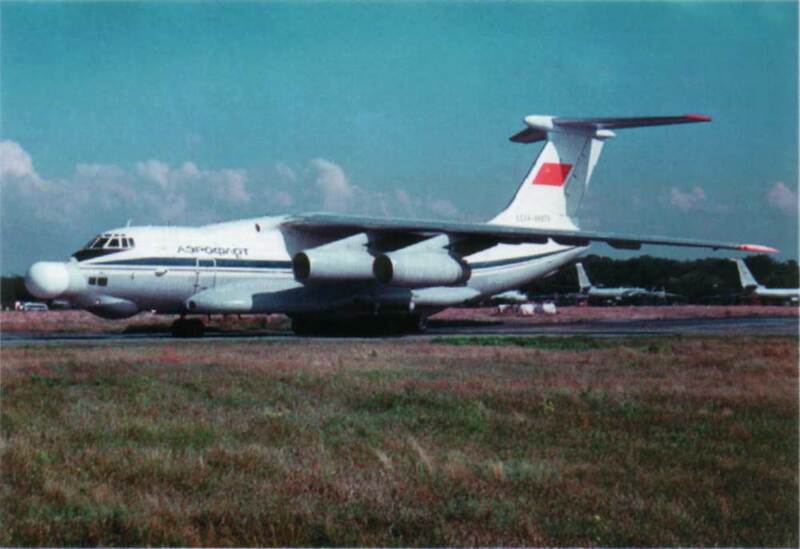 The Interfaks source said this work’s been continuing for some time using a modified Il-76 (A-60), and the laser’s gone through a series of successful tests. While reading Korotchenko, one needs to bear his long and close association with Almaz-Antey in mind. Perhaps there’s fear lasers might detract from funding for more conventional air defense weapons. According to Vesti.ru, many specialists think it’s just a matter of Russian prestige in keeping up with the Americans. CAST’s Ruslan Pukhov doesn’t consider it a waste, however, saying that even the U.S. recognized Russian laser successes, and it would be stupid not to pursue more research. Still others say it’d be better to spend money protecting Russian missiles from laser strikes during launch and boost phases. Lenta.ru also added to this story. According to it, the laser system will be for Russian forces; there’s no talk of exporting yet. It says Russian Academy of Engineering Sciences official Yuriy Zaytsev first mentioned renewed work on an airborne laser in August 2009. It provides some background on the Soviet laser weapons program in the 1960s and 1970s, through the A-60’s successful destruction of an aerial target in 1984. It says, though there was no money in the 1990s, the design bureau continued to work on the laser program on an initiative basis. This entry was posted in Air Forces, Defense Industry, Force Modernization, Strategic Deterrence and tagged A-60, Airborne Laser, Combat Laser, Il-76, OPK. Bookmark the permalink. It is insane to talk about “modernizing” Russia and Russian army and abandon all the research (on already very advanced laser program) which is symbol of modern military technology. Rewind a bit, the media claims the Russians are reviving and pursuing it, not abandoning it. Although feasible from a technology standpoint, an airborne laser may or may not be practical for them in a military operational sense. We’ll see what decision they make. Every military establishment faces tradeoffs. If they get this, there is something else, or other things, they won’t get. And Serdyukov’s Defense Ministry itself has indicated several times that RDT&E not yielding badly needed systems in the near future will be trimmed, if not cut entirely. Defence commentator Igor Korotchenko needs his head read. Just because the US wants to build and airborne laser system for shooting ballistic missiles as they are launched from so called rogue countries doesn’t mean that a Russian airborne laser system has to be used against the US. It would be rather dumb for the Russians to try to use an airborne laser system in such a way because such a use is only useful either in an attempt at a first strike where you initial hostilities (ie you start the conflict and try to shoot down as many of their missiles as you can because you know they are going to launch them because you just launched yours) or in a conflict where the other side has very few missiles, which is hardly the case in a Russia vs US scenario. For Russia an airborne laser has other applications, including a weapon that can shoot down stealth fighters outside of AMRAAM or Meteor range perhaps. Or a way to deal with UAVs or recon assets at long range in a way that perhaps could be deniable later as there is no actual damage caused to the airframes or hardware.